Bangkok choked for weeks last month as smog filled the air while drones and fire trucks fought to bring the pollution under control. Between now and 2025, e-commerce in Southeast Asia is expected to grow eightfold and hit $102 billion in sales. In 2018, 18.1 million new cases of cancer developed worldwide; 9.6 million people died from the disease; 70% of the deaths occurred in low and middle-income countries, including those of the World Health Organisation (WHO) Southeast Asia region; and 67% of the region’s cancer patients died before the age of 70. South East Asia has made positive strides recently in supporting the development of the region’s fast-growing internet economy with effective regulation. From snouts in the trough to African Swine Fever, Southeast Asia Globe breaks down the stories worth watching in the Year of the Pig. Vietnamese enterprises have the potential to participate in regional and global production value chains on par with the leading countries in ASEAN, because Việt Nam has been a top priority choice of multinational corporations. New vehicle sales in southeast Asia’s six largest markets combined increased by 5.3% to 988,948 units in the fourth quarter of 2018 from 938,692 units in the same period of the previous year, according to data collected by AsiaMotorBusiness.com from local associations and government departments. Southeast Asia joined millions of people worldwide in celebrating the Chinese New Year on Tuesday, initiating the Year of the Pig with lion dances, the lighting of firecrackers and doling out of money in red paper envelopes – in the hope of striking good luck. RIPPLE, which provides enterprise blockchain solutions for payments, sees Southeast Asia, including the Philippines, as a priority market to expand its blockchain technology for cross-border payments and remittances. 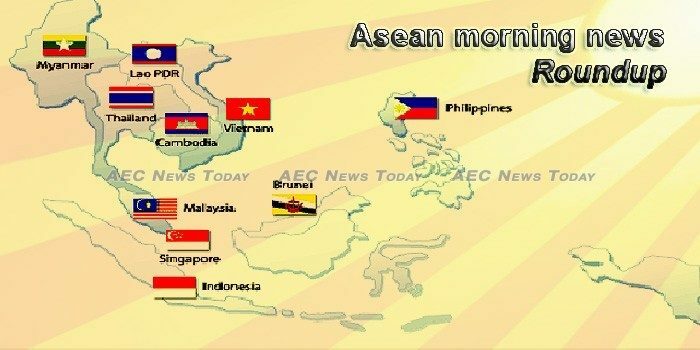 The alleged misuse of provisions of the India-Association of Southeast Asian Nations (ASEAN) free trade agreement (FTA) has irked the domestic stainless steel manufacturing industry. By the standards of global literary history, Taiwanese literature is a fairly new phenomenon, dating back to the aftermath of the 1949 Chinese Communist revolution when the island was separated from the mainland. A Cambodian Mine Action Authority official has requested the Chinese government to assist the Kingdom in achieving its mine-free 2025 goal by training demining forces. The government has allocated a budget of over 2,800 billion kip for capacity development and improvement of the health sector in 2019. Government officials and development partners met in Vientiane on Tuesday to review the Strengthening Agro-climatic Monitoring and Information Systems (SAMIS) project towards improving adaptation to climate change and food security in Laos. The increase in consumer prices nationwide eased for a third straight month last January as food and beverage costs grew slower while the full effect of the second round of fuel tax hike has yet to be felt, the Philippine Statistics Authority (PSA) reported yesterday. Four explosions have been reported on Tuesday, a day before the Bangsamoro second plebiscite. On February 3, 2019 (Sunday), the CEO and founder of a Singapore-based company called Simply Safety uploaded a post on Facebook that addressed a problem of Singaporeans. IT WAS Australia’s issuance of an Interpol red notice for former Bahraini footballer Hakeem al-Araibi that led to his arrest in Thailand, Foreign Minister Don Pramudwinai revealed yesterday.